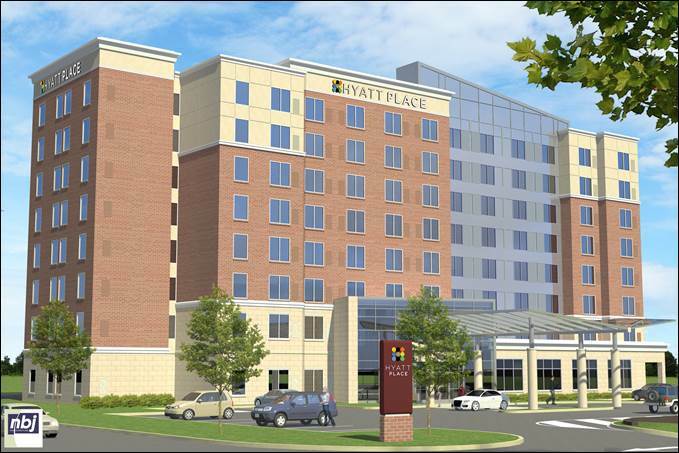 PMZ Realty Capital, LLC, a national boutique real estate investment banking firm focused on creating advantageous capital structures for its clients, announced today it arranged a $23,725,000 construction loan for the Hyatt Place Fort Lee in Fort Lee, New Jersey. The 168-room property will offer guests modern and spacious guestrooms equipped with the Hyatt Grand Bed, work desk, refrigerator, coffee maker, and in-room safe. The hotel features complimentary breakfast, and 24-hour Gallery Menu with freshly prepared meals along with bottled beverages and packaged grab ‘n go food items. The property will be located right outside of New York City with convenient access to Yankee Stadium, Meadowlands Sports Complex, Columbia University, and all New York City offers. PMZ Realty Capital LLC is highly regarded within the hospitality industry for their integrity, creativity and advocacy on behalf of their clients. With over 75 years of combined experience, they are the industry experts and as such, are frequent contributors to industry publications and conferences. The firm approaches each assignment with passion, commitment, and dedication to achieving the client’s objectives. PMZ has worked with our franchisees for over two decades financing all of the Hilton brands. They have extensive experience with our brands and in the capital markets and have provided outstanding customer service. Their business consistently finds creative financing solutions for our licensees, which, in turn, helps the Hilton Franchise Development Team achieve our growth objectives. PMZ brings trust and commitment to our franchisees. We look forward to continuing our relationship with PMZ and recommending them to our franchisees in the future.